Local London Assembly Member Joanne McCartney today called on Mayor Boris Johnson to get a grip on increasing crime on Enfield & Haringey’s buses. New figures show that Enfield has seen a 3% rise in the last nine months in overall crime, and a 28% surge in robberies. Haringey has seen a 126% crime surge in the last nine months for robbery and a 14% rise in violence against the person. The latest figures released by Transport for London show that across London robbery on buses has increased by 18%. At the same time figures released by the Metropolitan Police reveal that up to half of the officers who are supposed to police the London transport network are not even in post. 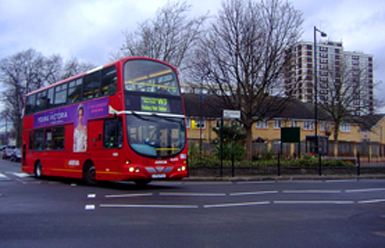 The Met figures show that the Safer Transport Team for Enfield has a vacancy rate of 60%, increasing to 61% in Haringey. This means that even though there is money in the budget officers have not been recruited to these posts. The revelations follow the news that in the past two years Mayor Boris Johnson has cut 1,700 police officers.